“High-level conference Financing sustainable growth”, will take place on the 22nd of March at 9:00 am Brussels time. This conference will present the EU strategy on the basis of the Commission Action Plan but also to agree on concrete follow-up for further development of sustainable finance. Furthermore, it will provide the momentum and a shared vision on sustainable finance to feed the European Council debate and conclusions of 22-23 March 2018. 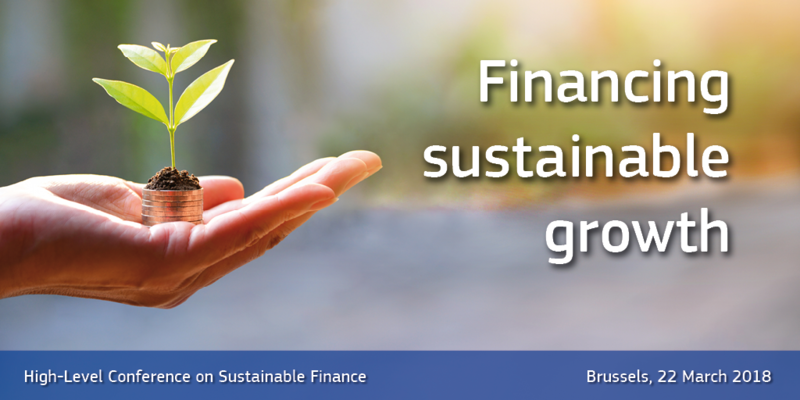 Action Plan on sustainable finance is part of the Capital Markets Union’s (CMU) efforts to connect finance with the specific needs of the European economy to the benefit of the planet and our society. It is also one of the key steps towards implementing the historic Paris Agreement and the EU’s agenda for sustainable development. The EU needs a strategy to unlock the full potential of sustainable finance and investment in the low-carbon, circular and resource-efficient economy. The conference will be webstreamed. The link for web streaming will be available soon. You can also register here. Further information about the conference and the agenda here.